From 1994: the first NOT OF THIS EARTH (NOTE) SPECIAL EDITION. NOTE, published by an outfit called Image (not to be confused with the comic book publisher busy booming around this time), debuted a year-or-two earlier as a standard black & white magazine. I have the issue devoted to BATTLESTAR GALACTICA somewhere safe. For whatever reason, the publisher decided to ditch the standard mag format in favor of a new squarebound magazine-sized book format with black & white interiors. Maybe they thought it would stand-out against the competition although I suspect it probably just confused punters and stockists. They also adopted the flip-book format, hence the double-cover above. 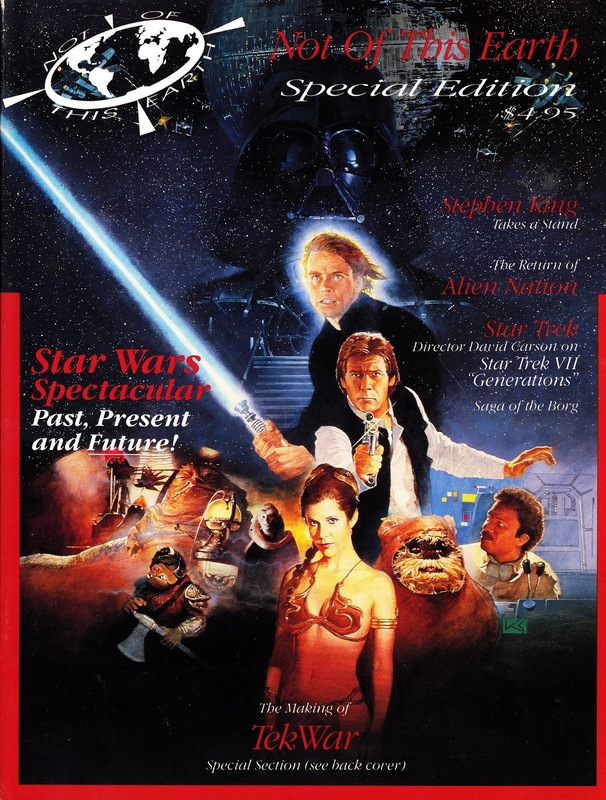 STAR WARS, enjoying its early 1990s resurgence of interest, was a no-brainer whilst Shatner's TEKWAR was a flavor-of-the-moment multimedia (books, comics, TV movies and a one-season TV series) assault which, despite the star power, never quite became the long-running franchise Shatner clearly hoped for. 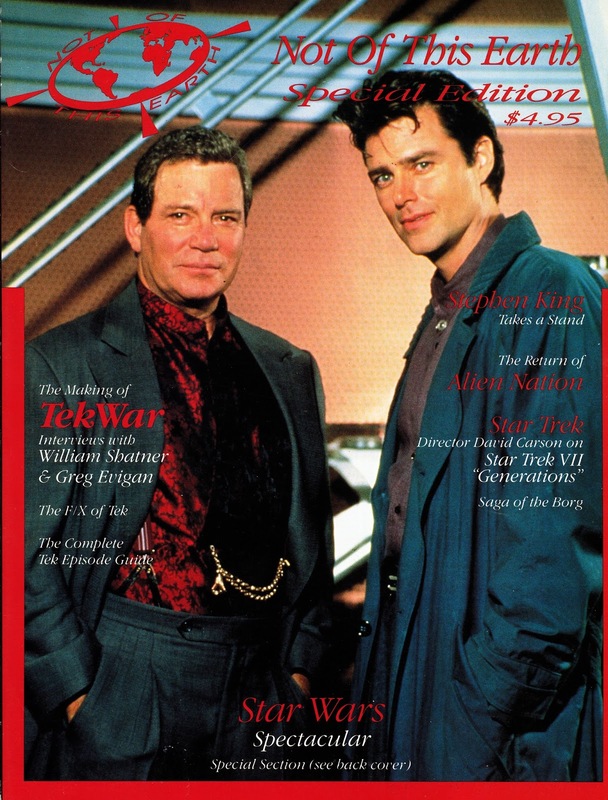 If my memory is correct, three magazine-format issues of NOTE appeared (with covers devoted to DS9, Lois and Clark and Battlestar respectively) prior to this relaunch. One further 'issue' followed this one, another flip-cover book with The X-Files and the short-lived Nowhere Man.